Save the date! 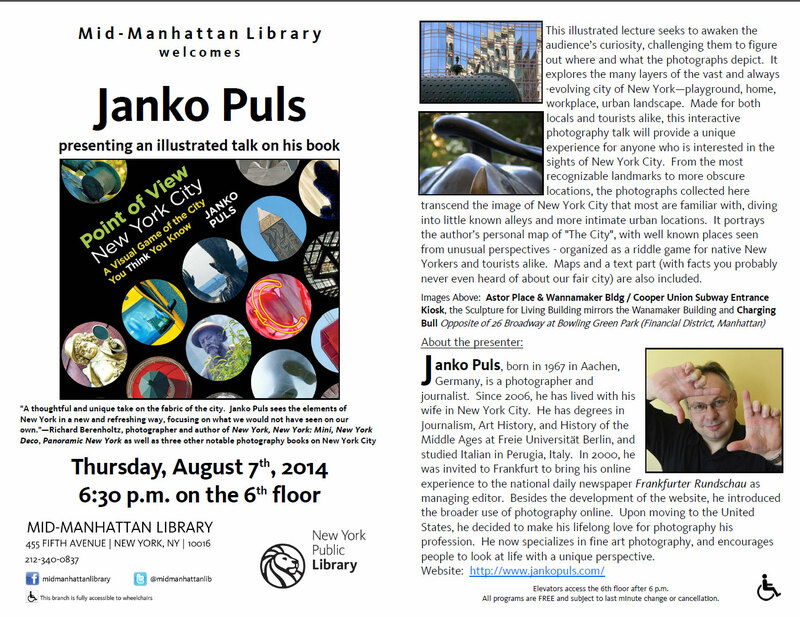 I invite you to the New York Public Library for an illustrated talk on my book "Point of View New York City". I'd love to play some guessing game with you and then present the concept and the making of the book. "This illustrated lecture seeks to awaken the audience’s curiosity, challenging them to figure out where and what the photographs depict. It explores the many layers of the vast and always-evolving city of New York—playground, home, workplace, urban landscape. 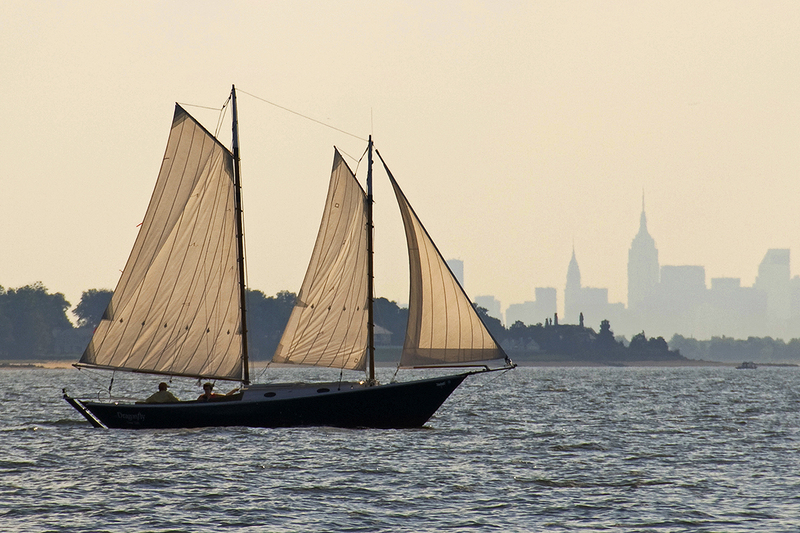 Made for both locals and tourists alike, this interactive photography talk will provide a unique experience for anyone who is interested in the sights of New York City. From the most recognizable landmarks to more obscure locations, the photographs collected here transcend the image of New York City that most are familiar with, diving into little known alleys and more intimate urban locations. It portrays the author’s personal map of "The City", with well known places seen from unusual perspectives - organized as a riddle game for native New Yorkers and tourists alike. Maps and a text part (with facts you probably never even heard of about our fair city) are also included." And if you wouldn't know what to do in the days before, here is another tip: Until this very date, Thursday, August 7th, 2014, I will have more than 50 prints of my photography up on the walls of Bar & Lounge Verlaine, 110 Rivington St. (just off Essex St.), Lower East Side, New York. Subway: F to Delancey St., buses: M9 or M14A to Essex & Rivington Sts.